This is an experiment in collaborative distance learning. The facilities provided by the Moodle online course software used are very extensive and include quizzes, forums, chatrooms, assignments, surveys, journals, lessons, and workshops. Please see the Teacher's Manual. A complete hardcopy manual for using Moodle is also available. 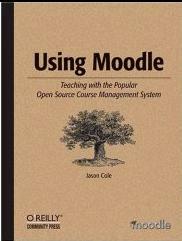 See Using Moodle by Jason Cole. Our Homeschool Classes pages list many classes available to homeschoolers, some of which are entirely online. You may also want to consider a Christian-based homeschool curriculum such as Lifepac Science. The Excellence In Education website has extensive elearning homeschooling resources and an online store. The EIE Academy website contains information on courses and activities. The Abacus Educational Services Homeschool page has many further resources and ideas.